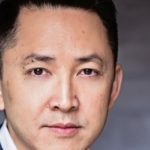 We’re thrilled to report that Pulitzer Prize-winning novelist Viet Thanh Nguyen—who will be appearing in the Inprint Margarett Root Brown Reading Series on Monday, November 13, 7:30 pm, at Rice University’s Stude Concert Hall–-was named one of this year’s 24 recipients of MacArthur Foundation “genius” fellowships. We are happy for him and for all of you, who will have the privilege of hearing him speak on his first appearance in the Series. Don’t miss it—he will be in conversation with Houston native William Broyles, founding editor of Texas Monthly, Academy-Award nominated screenwriter, and author of Brothers in Arms, an account of his return to Vietnam to meet the men and women he fought against during the war. Inprint will join with Houston Public Media to live-stream this reading. 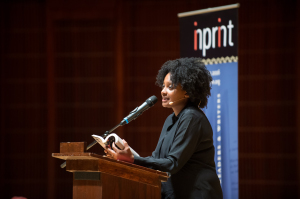 National Public Radio's "News Poet"
I walked all over Rice University before heading to Tracy K. Smith’s reading for the Inprint Margarett Root Brown Reading Series last Monday. I was excited: it was perfect weather—clouds but not raining, warm but not hot, cool but not cold. The light was starting to dim. So what do you do about this—inner or outer weather? 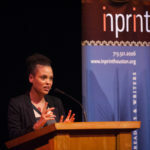 Prose or poetry? Luckily, Smith does both.